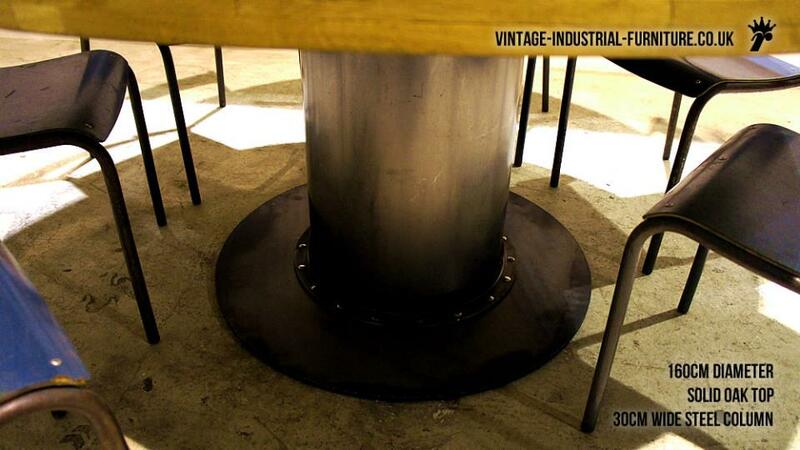 This vintage industrial round dining table which is large in size is a real statement piece. 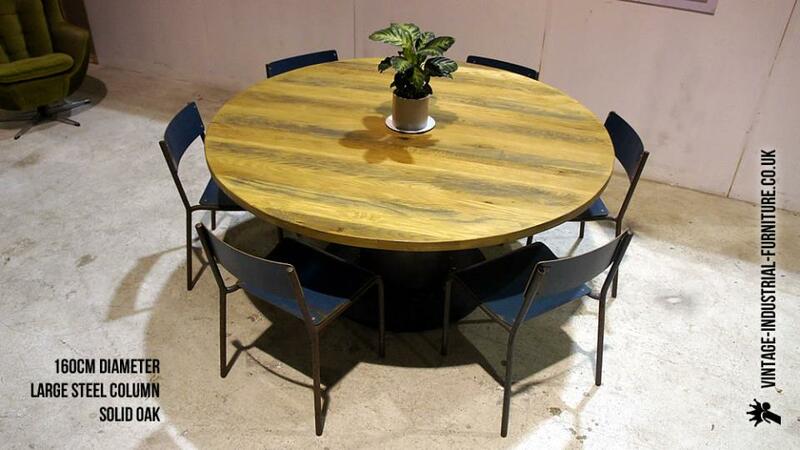 The solid wooden top sits on a central welded steel column of 30cm diameter. The central pedestal has a substantial, thick, solid steel base plate. This is attached to the column with a ring which has rivet-style detail, referencing old construction methods. 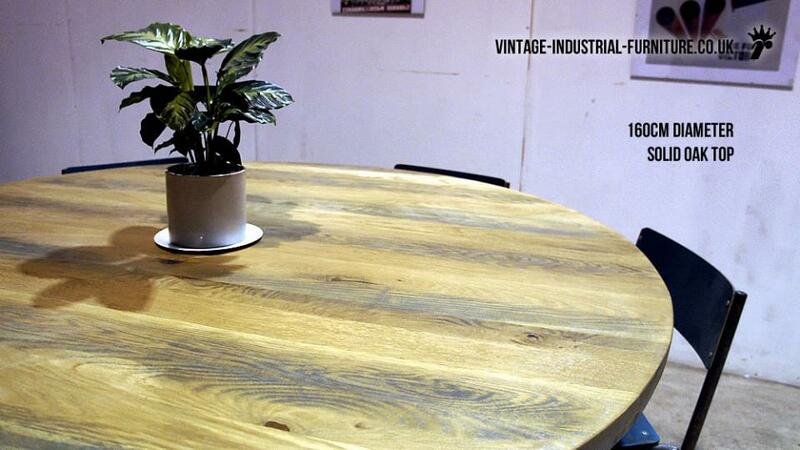 If you are considering a large round wooden pedestal table with an industrial feel then this has to be on your shortlist. The timber top has plenty character whilst being smooth and prectical for daily use. 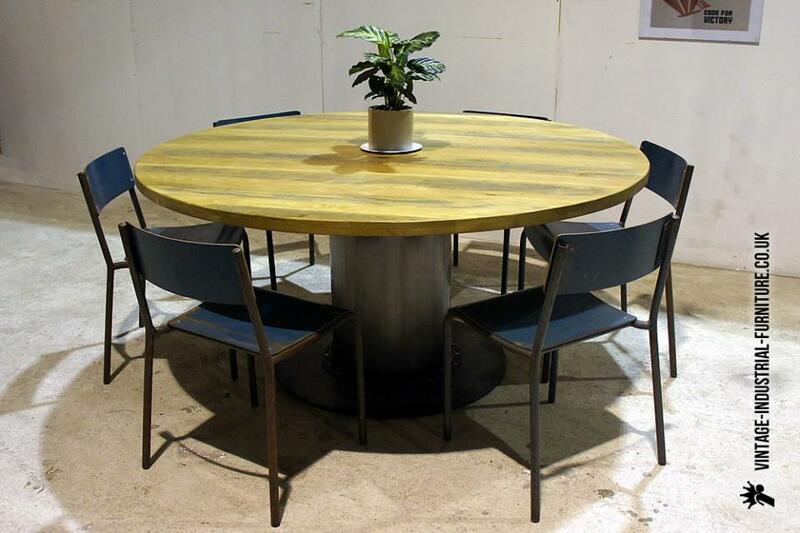 The photographs show this vintage industrial round dining table as a six-seater but there is plenty room to squeeze on a couple more chairs when needed.